Formed in 2007 by Internews’ Earth Journalism Network (EJN), Panos London and the International Institute for Environment and Development (IIED), the CCMP has brought developing country journalists to the annual UN climate summits for the past five years. This has enabled them to cover the summit for their home media organizations, work with experienced and knowledgeable journalists from around the world, and gain a multifaceted understanding of climate change’s global impact. Numerous regional organizations also play a supporting role in the partnership. Criteria for evaluating applicants will include the prospective Fellow’s demonstrated interest in climate change issues; their audience; and the ability of the Fellowship to provide an opportunity for those journalists who might not otherwise have a chance to cover such events. 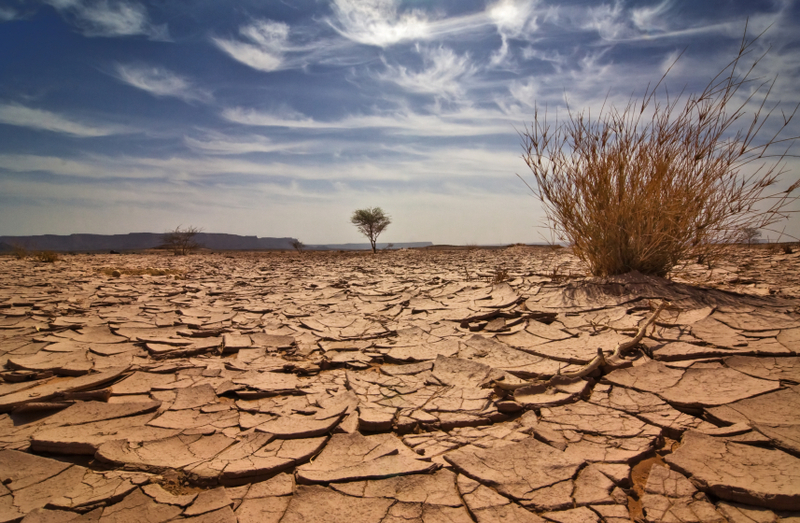 Fellows represent a diverse range of experience and regions, though a primary goal of this program is to reach audiences – particularly marginalized communities – who are currently underserved when it when it comes to climate information. All applications should be submitted with scanned copies of credentials through the following e-mail addresses not later thanTuesday, May 29, 2012. The Youth Employment Network (YEN) and the ILO’s Youth Employment Programme (YEP) have come together to create the “What’s Working?” competition to find out what strategies and approaches are working and share them among the youth employment community. The competition highlights success stories. Organizations who have had positive results from their youth employment projects can submit a Smart Note about their project, including why they think it worked and what lessons they learned. The winners are selected through online voting, comments, and a judges panel. 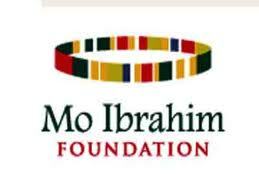 The winning projects will have their Smart Note published on the website and receive a monetary award. The result of the competition will be a series of Smart Notes published on the YEN Marketplace website. YEN and YEP reserve the right to visit the project either themselves or through their partners to verify the authenticity of the project before awarding a prize. The winners will have their Smart Note published on the YEN Marketplace website, and there will also be a monetary award for the top three. The competition may also award Special Mentions to projects that did not win, but showed exceptional merit. The deadline to enter is May 20, 2012 at midnight and the deadline to vote is May 24, 2012 at noon. Results will be announced on May 25, 2012. For more information, visit this link. 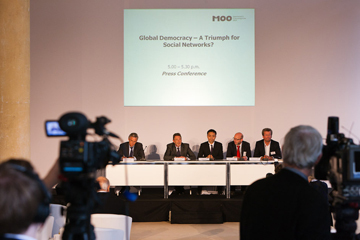 In 2011, regime change was for the first time initiated by social networks. Beginning in Tunisia, bloggers and activists called for demonstrations against their authoritarian ruling regime on Facebook and Twitter etc. Then in 2010/2011, thousands and thousands of people in several countries in North Africa and the Middle East took to the streets and – as in Tunisia und Egypt – brought about the overthrow of their rulers. In other Arab countries too, such as Libya, Syria and Bahrain, they have played and are playing a major role in rebellion and political change. All over the world young people are becoming politically active on the Internet and in social networks, twittering, posting and blogging opinions, reports and news out into the world, directly and without delay. Call for applications is invited for the Youth Media Workshop 2012 on the topic, “After the Web 2.0 Revolutions: New Media as an Instrument for Change and Democracy?” from 19 to 24 August, Potsdam/Germany. Youth Media workshop is being organized with young journalists from Europe and from countries in transformation in the Arab world. The major objective of this workshop is to offer aspiring young journalists from #Egypt, #Tunisia,# Libya, and #Algeria with an opportunity to engage in an intensive exchange of views and ideas and build networks in dialogue with young journalists from Western and Eastern Europe. Well-known media figures will lead the workshop. New ideas will be developed and open debates initiated. · What does the Web 2.0 revolution mean for politics, the media and society? What can we learn from it? · Can the experiences of the Arab Spring be transferred to other situations? · Do the ‘network revolutionaries’ still have an influence on society and politics, even after the overthrow of regimes? · How do social networks influence developments in politics, culture and society; what can new media achieve as political infrastructure? · Could new media help stabilise political transformation processes and promote democratic structures and more participation? · What role can both the conventional and new media and their cross-media interaction play in these transformation processes? · What similarities and differences are there in the various countries? · How can sustainable use be made of social networks? · How does the local media, which is so crucial in democratisation processes, function in the various countries; does it even exist? · Mnn m mm How great is the risk that new media could lead not to more freedom but to more control and censorship? The organizers of the M100 Youth Media Workshop will cover accommodation and board during the workshop. A travel allowance is also offered. The workshop will be held in English. Youth Media workshop is being organized with young journalists from Europe and from countries in transformation in the Arab world. The major objective of this workshop is to offer aspiring young journalists from Egypt, Tunisia, Libya, and Algeria with an opportunity to engage in an intensive exchange of views and ideas and build networks in dialogue with young journalists from Western and Eastern Europe. Well-known media figures will lead the workshop. New ideas will be developed and open debates initiated. What does the Web 2.0 revolution mean for politics, the media and society? What can we learn from it? Can the experiences of the Arab Spring be transferred to other situations? Do the ‘network revolutionaries’ still have an influence on society and politics, even after the overthrow of regimes? How do social networks influence developments in politics, culture and society; what can new media achieve as political infrastructure? Could new media help stabilise political transformation processes and promote democratic structures and more participation? What role can both the conventional and new media and their cross-media interaction play in these transformation processes? What similarities and differences are there in the various countries? How can sustainable use be made of social networks? How does the local media, which is so crucial in democratisation processes, function in the various countries; does it even exist? Mnn m mm How great is the risk that new media could lead not to more freedom but to more control and censorship? 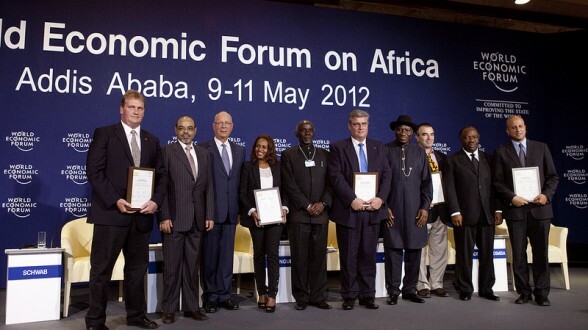 Five social entrepreneurs were presented the award of Social Entrepreneur of the Year 2012 for Africa by the Schwab Foundation for Social Entrepreneurship yesterday in Addis Ababa at the World Economic Forum on Africa. They were presented their awards in the context of Africa`s Leadership plenary, to underscore their importance in the economic, political and social future of the continent. We were also honoured to have with us at the awards ceremony President Ali Bongo Ondimba of Gabon, President Goodluck Ebele Jonathan of Nigeria, President Jakaya M. Kikwete of Tanzania and Prime Minister Meles Zenawi of Ethiopia. Bethlehem Tilahun Alemu, Sole Rebels, Ethiopia Sole Rebels taps into Ethiopia`s rich artisan heritage to create durable, stylish and eco-friendly footwear for international markets. Sole Rebels offers training and employment to hundreds of underprivileged workers in Ethiopia, creating a new employment model for local companies. It is committed to a zero carbon footprint, through practices such as use of recycled automobile tires for the rubber soles. Sameer Hajee, Nuru Energy Group, Rwanda Electricity grids do not reach many homes in Sub-Saharan Africa. Nuru Energy works with micro-entrepreneurs to disseminate its Nuru LED Light, which can be recharged using an off-grid, pedal-powered platform. The Nuru Light provides up to 26 hours of light with a full charge and costs one-sixth of kerosene to recharge. To date, Nuru Energy has set up 230 Village Level Entrepreneurs, who have sold 20,000 Nuru Lights. Paul Scott Matthew, North Star Alliance, South Africa In the 1990s, Paul Matthew observed the alarming impact of HIV/AIDS on truck drivers and other mobile workers. The North Star Alliance provides these communities with sustainable access to high quality health and safety services through a network of interlinked clinics known as “Roadside Wellness Centres”. Since opening its first Centre in 2005 in Malawi, the North Star network has grown to 24 Centres in 10 countries. Andrew Muir, Wilderness Foundation, South Africa An environmental activist, conservationist and community leader, Andrew Muir dedicates his life to conservation and social development. The Wilderness Foundation has protected over 200,000 hectares of wilderness and more than 100,000 disadvantaged youth have benefited from its educational and job programmes. In addition, the Wilderness Foundation pioneered the Green Leaf Environmental Accreditation Standard, which certifies and monitors the environmental sustainability business practices of companies across Africa. Seri Youlou and Thomas Granier, Association la Voûte Nubienne, Burkina Faso More than a decade ago, Seri Youlou, a farmer from Burkina Faso, and Thomas Granier, a French mason, built a Nubian vault home in Burkina Faso that inspired them to establish Association la Voûte Nubienne. By training farmers in the construction of homes with vaulted earth-brick roofs they are providing a source of income to farmers during the off-season, and creating a market for affordable, ecologically sustainable housing. Today, more than 200 masons have built over 1300 Nubian Vault homes in West Africa. In the midst of great challenges in Sub-Saharan Africa, I am inspired by the achievements of these dynamic individuals and their social impact. I am filled with immense hope for the future of the continent. It is with deep pride and honour that I welcome these social entrepreneurs into the Schwab Foundation family.